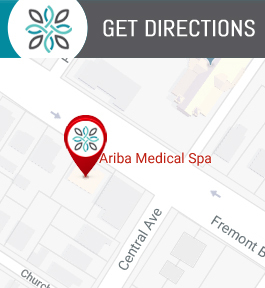 Ariba Medical Spa Is the Best Med Spa in Silicon Valley and Is the Go to Spot for CoolSculpting! We Are Centrally Located in Fremont, CA at 37553 Fremont Blvd, Fremont, CA 94536 – So if You Live in San Jose, Milpitas, Newark, Hayward or Union City, We Are Just a Short Drive Away! Contact Us Today or Schedule Your Appointment! For men and women looking to reduce their body fat without invasive plastic surgery or fad diets, CoolSculpting may be the answer they’ve been looking for. CoolSculpting uses cutting-edge technology to deliver permanent fat loss with a comfortable and non-invasive procedure. At Ariba Medical Spa, we offer personalized CoolSculpting procedures designed around the unique needs of each of our clients, so they can reveal the body of their dreams. CoolSculpting is quickly becoming one of the most popular aesthetic trends in the United States because it offers exceptional results without surgical intervention or downtime. Whereas liposuction used to be the only aesthetic procedure that could help you shed unwanted fat, cryolipolysis now allows our clients to experience permanent fat loss without having to take time away from work or social commitments. The experienced professionals at Ariba Medical Spa are proud to offer this incredible fat reduction procedure to our clients in and around Fremont, CA. The CoolSculpting procedure is safe, comfortable, and effective. During your treatment session, your desired treatment areas will be cooled to between 5 and -11 degrees Celsius. This is generally considered the most uncomfortable part of the session. Most patients report feeling a dramatic cold sensation that then turns to numbness while the CoolSculpting applicator remains attached to the treatment area. Following the cooling part of the appointment, your provider will gently massage the treated area for approximately 2 minutes to ensure you experience optimal results. The best part of the CoolSculpting procedure is that there is no special aftercare required. Most patients return to all their normal activities right after their appointment, including going back to work and even the gym. In the weeks following your procedure, the fat cells in the treated area will die off and be naturally shed by your body, leaving you with permanent fat reduction and a slimmer appearance. The FDA has approved CoolSculpting for fat reduction on the chin, buttocks, back, abdomen, thighs, and arms. This makes it an excellent solution for men and women seeking to spot reduce fat on some of the most stubborn areas of the body. If you have tried diet and exercise, but find yourself struggling to lose the last bit of weight to reach your goals, CoolSculpting may be the non-invasive answer you have been waiting for. At Ariba Medical Spa, we will design a CoolSculpting treatment plan that is designed just for your body, so you see the results you want as quickly as possible. You deserve to feel great about the way you look, so why not take the next step to a more toned appearance by scheduling a CoolSculpting consultation with us? If you live in or around the Fremont, CA area and think that CoolSculpting may be right for you, contact Ariba Medical Spa to schedule a consultation. Our experienced providers will work with you to design a treatment plan that addresses all of your needs, so you can love the way you look every single day. We are open 4 days a week, with appointments from 11AM – 7PM. Call us today at (510) 894-0969 and let us help you unlock a leaner and more confident you!